The diversity agenda encompasses several key components in the life of each division at Dalton. There is the formal work of continually developing and refining curricula so that multicultural frameworks inform scope and depth of content in academic subject areas. There is the interpersonal work of teacher support of the social, emotional and moral development of each student in House and academic classroom contexts, and there is the level of intrapersonal transformation that underlies individual growth and understanding of the ways in which race, class, and culture inform how we see ourselves and each other. Dalton continues to be a work in progress, committed to and critically conscious of these distinct components of the work that constitute a diversity literate and multi-culturally fluent learning community. While independent schools nationwide are addressing the issue of multicultural frameworks with regard to academic curriculum development, Dalton also remains both receptive and flexible as we attempt to stay current and responsive to curricular concerns. Our progressive philosophical roots and the structures of the Dalton Plan support us in this process. A brief look at each division, the First Program, the Middle School and the High School will allow for highlights of the thoughtful work undertaken by the administration, teachers, and students therein. 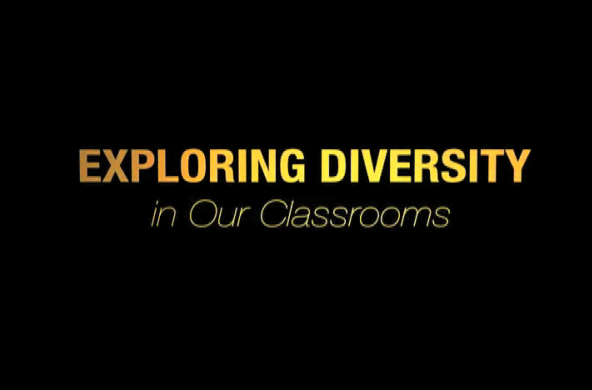 Dalton's Diversity curriculum is evolving, as it is responsive to our student needs and faculty resources. Examples shown in this video and on these pages are subject to change. In these foundation years, FP educators are dedicated to teaching core values central to the social, emotional and moral development of every child. Respect for difference is fundamental to these core values. In the process of building classroom community and a sense of community division-wide, a positive sense of identity, respect for difference and cultural literacy evolve over time for each student. First Program teachers provide formal and informal House curriculum activities, assembly programs, service learning projects, field trips, the experience of student clubs, after-school activities and Parents Association diversity events. The academic curriculum is inclusive and multicultural in scope and refined on a regular basis to reflect the diversity of the classroom. House is the structure in Middle School in which formal and informal conversations take place, through which students explore social, emotional and moral issues and refine their understanding of themselves and the world around them. Conversations on identity, culture, media, ethical decision-making, the law, and a wide range of topics are facilitated in discussions as well as through special units, assembly programs, service learning projects, the experience of student clubs, field trips, Parents Association diversity events, and collaborations with HS students in cross-divisional activities. The academic curriculum is increasingly multicultural in scope and refined on a regular basis. Given the required and elective course offerings and the opportunities for individualization provided by the Assignment, high school students can critically examine subject matter that embraces a broad range of social, cultural, literary and historical topics and perspectives. The high school years offer students many opportunities to engage in conversations on diversity issues. Through discussions in class, House, Lab, assembly programs, students clubs and groups, service learning projects and cultural celebrations, students actively examine a range of texts and explore stereotypes and media influences, identity politics, gender, class, and culture issues on a regular basis. Students have been deliberate in their pursuit of authentic dialogue on diversity issues, dialogue that is substantive and that contributes to a true understanding of the complexity of our nation's historical narrative and what it means to be a multicultural community.